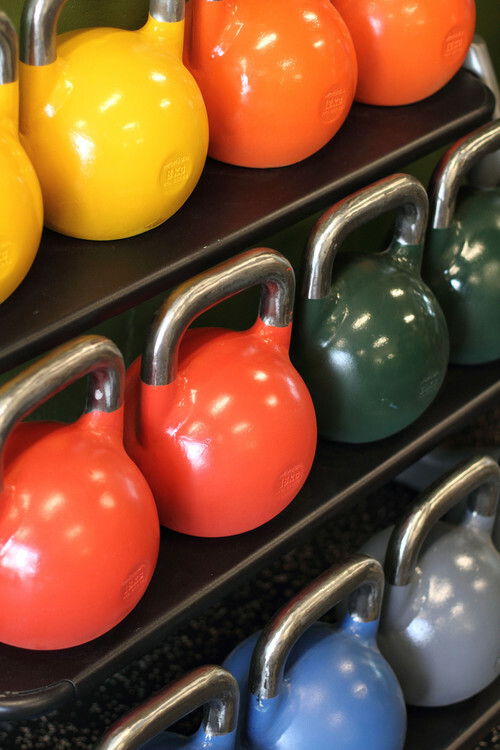 What’s the best color for a workout room? 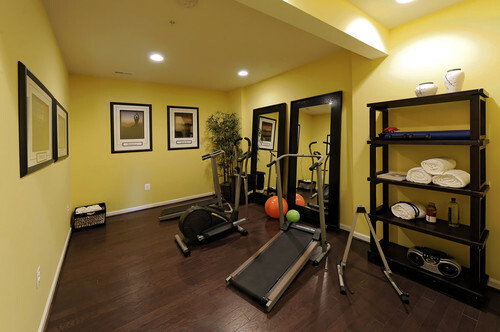 I am often asked, What is the best color for my ______ room? What do I say? 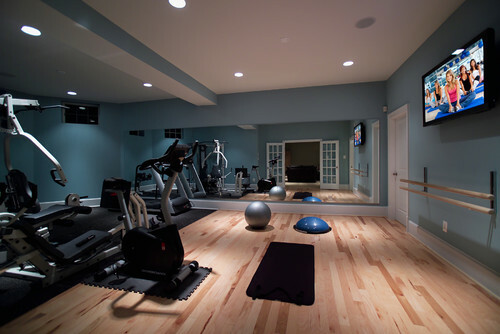 So what is the best color for a workout room? Here is a hint: NOT BORING BEIGE! 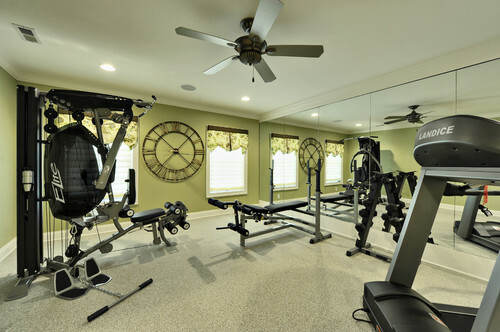 Anything that pleases your eye will help encourage you to go in and really use your work-out room. Beige is probably the worst possible color for a low-light area. 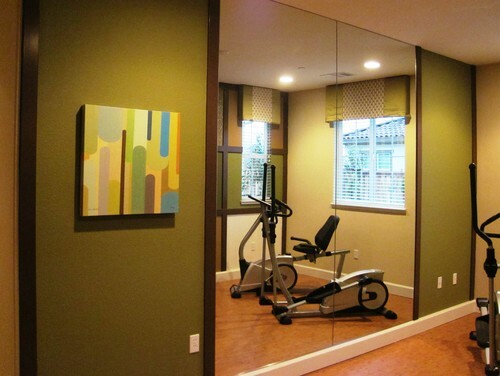 in color, “A light color will never come to life in a dark room.” (wise words from Maria Killam). Beige just looks dingy when there is little or no natural light. 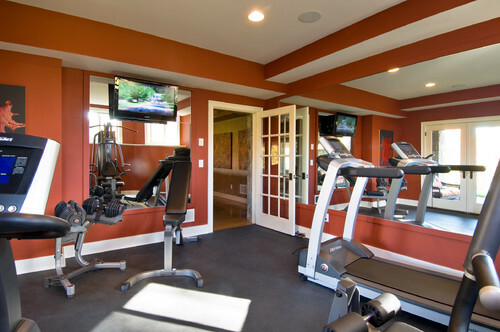 Traditional Home Gym design by Birmingham Architect Erdreich Architecture, P.C. 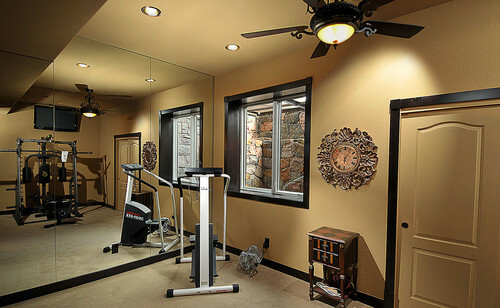 HERE are some dedicated home exercise rooms in a variety of colors to give you some inspiration. 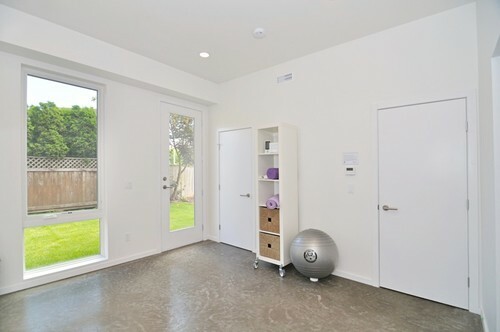 Cool gray walls and persimmon flooring. 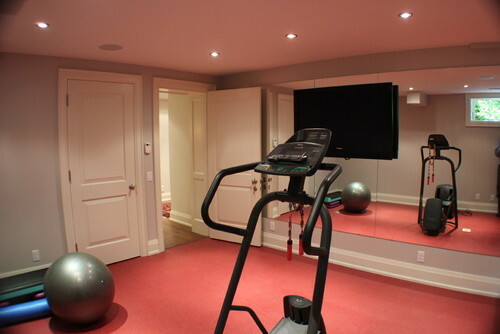 Contemporary Home Gym design by Toronto Design-build Irwin Allen Design Build Inc. 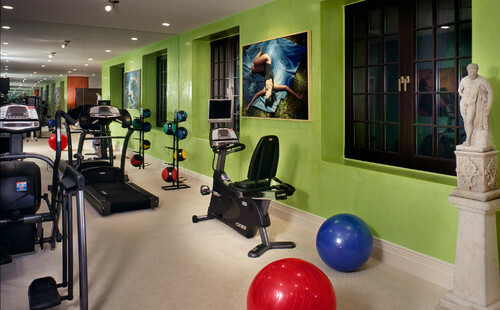 Muted green walls with bright blue accents. 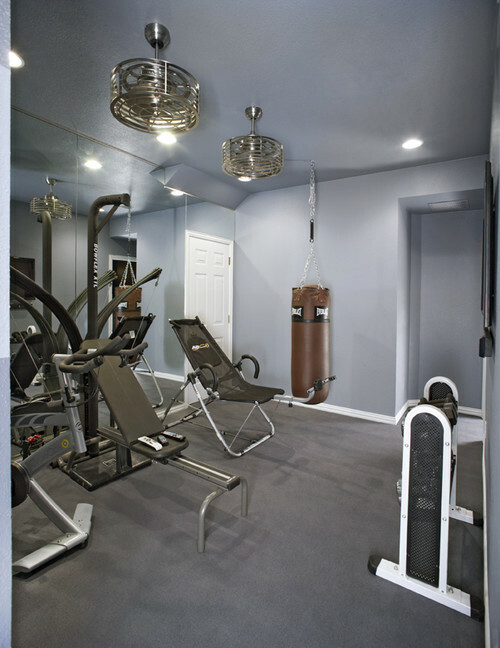 Traditional Home Gym design by Calgary Design-build JayWest Country Homes Ltd.
Gray walls AND ceilings with silver accents. Happy yellow walls with an accent rug in charcoal gray. 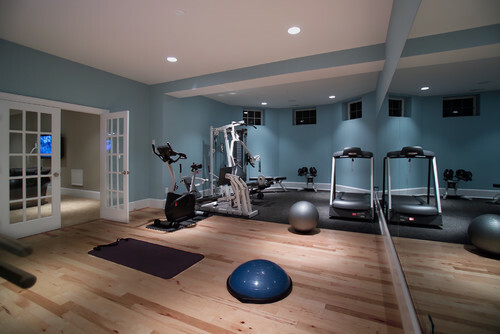 Blue with pale-pink oak flooring. Wider shot of same room above. 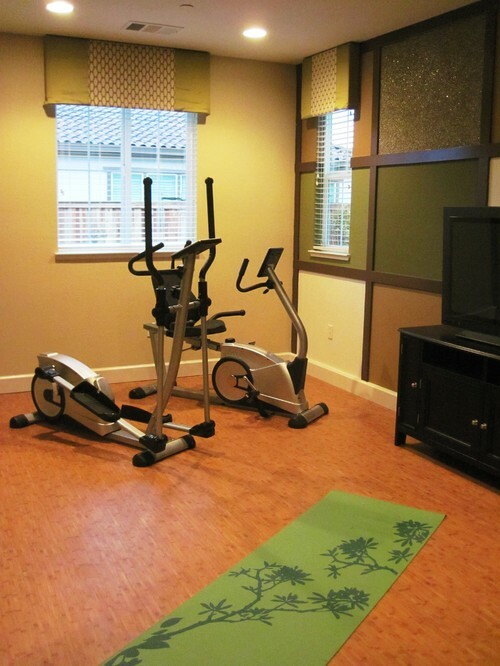 A cleaner yellow combined with greens and taupes, bamboo flooring. Aonther bold, fun choice, terracotta red (tip: don’t ever paint out a ceiling like this). 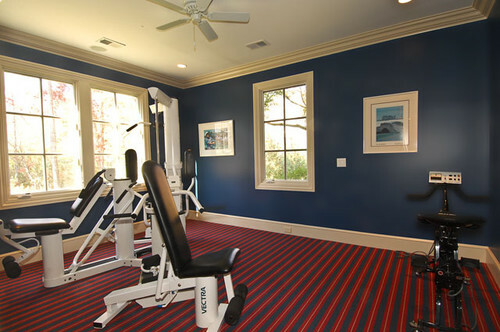 And another look at my favorite, Yankee blue with zippy striped carpet. So, don’t settle for boring beige. 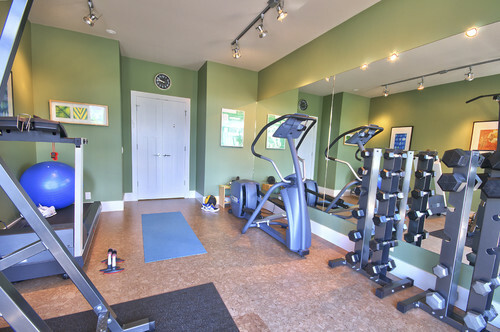 The workout room should be anything but boring-looking. Paint it a color (or a color family) that you absolutely love! 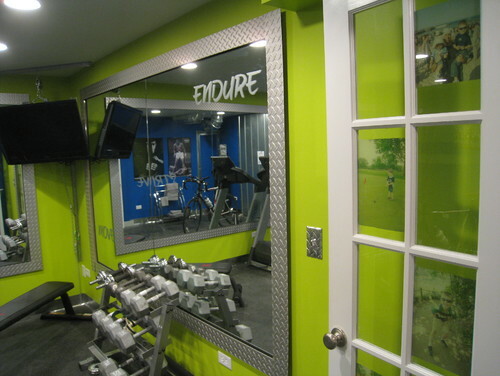 This entry was posted on September 2, 2012 by Ellen at Color Calling. 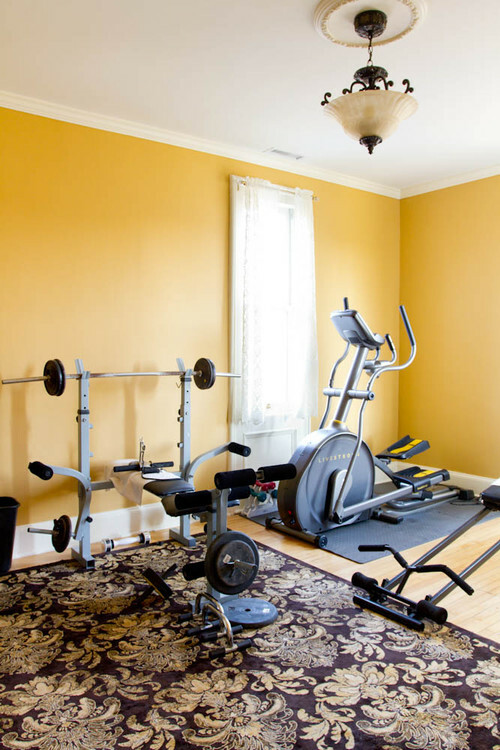 It was filed under Benjamin Moore colors, Residential styling, using the color white and was tagged with beige, clean and muted colors, exercise room, home gym.